Comment: Clean the rug in my family room - some furniture will have to be moved. Comment: Need exposed carpet cleaned. Carpet is old but has been treated and still looks much better once cleaned. I have hardwood under and would like an estimate to have all hardwood floors refinished. Comment: I have 2 chairs and a sofa that need cleaning. The fabric is sunbrella. I have been renting the house for the summer and my step-daughter is getting married the end of September and would like everything clean and fresh. I will be arriving on Sept. 23rd and would like to have them cleaned on Monday September 24th. This will allow 2 full days to dry before company arrives. Harwich Carpet Cleaning Services are rated 4.85 out of 5 based on 124 reviews of 6 pros. 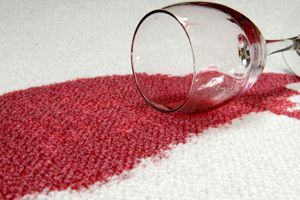 Not Looking for Carpet & Upholstery Cleaning Contractors in Harwich, MA?